The Audi A3 Cabriolet is the drop-top version of the A3 saloon with its main rivals being the BMW 2 Series Convertible and the VW Golf Cabriolet. The A3 Cabriolet is a four-seater with excellent space for those in the front, but the rear seats offer limited space for passengers. The interior fitments and interior finish are impeccable and more luxurious than those in a VW Golf Cabriolet. The Audi A3 Cabriolet is fitted with fabric roof and has larger boot space. The folding fabric roof can be lowered in just 18 seconds at speeds of up to 50 kmh. Another benefit of the Audi A3 is the great range of engines it brings. One has a choice of a very frugal 1.6-litre diesel to an impressively fast 2.0-litre petrol in the S3 Cabriolet. 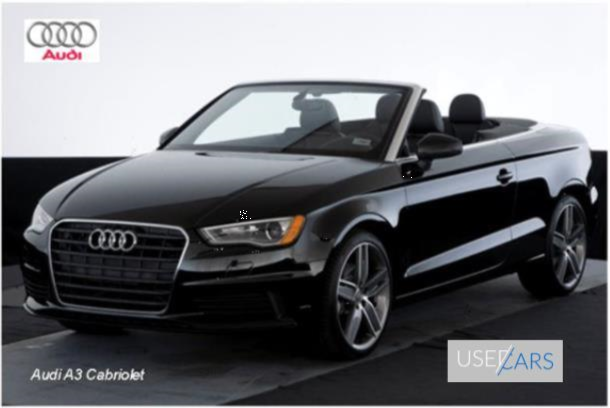 The Audi A3 Cabriolet is a competent performer and has great interior features. “The Audi A3 Cabriolet is bigger than ever and better to drive, but it's expensive."